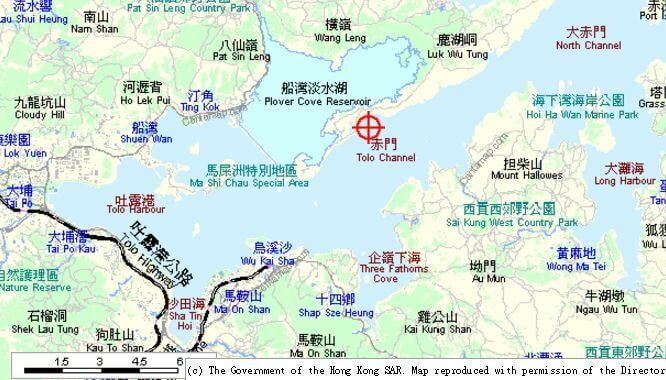 HF/Richard Hale: At one time Hong Kong was home to a thriving pearl cultivation industry which appears to have been initially centred on Tolo Harbour. “Tai Po was the centre of the local pearl industry. As far as we know, pearls were first collected from the nearby sea in AD 761 during the fourth year of the reign of the Tang emperor, Hoi Yuen. 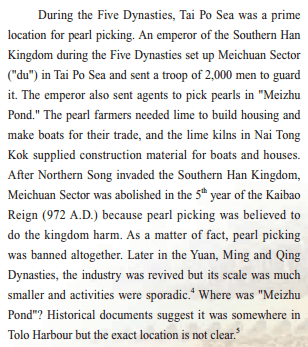 He established a monopoly on the pearl industry and, in AD 964, 8,000 soldiers were sent to Tai Po to protect it. The pearls and tortoise shells collected were highly prized and used to adorn an imperial palace in Canton, later burnt to the ground. But the gathering of oysters from the sea bed was no light undertaking. The pearl fisher was tied to a weighted rope, lowered into the sea from a boat, and left in the depths until a boatmen him back up with his bag of oysters. If the boatmen were distracted, the pearl fisher would drown. The industry cost so many lives that at least two petitions were filed against this practice . It was stopped in AD 971, only to start again in 1280. The imperial monopoly was finally abolished in 1324. Richard Hale: A large patch of oysters were in the mouth of the Tolo Channel. 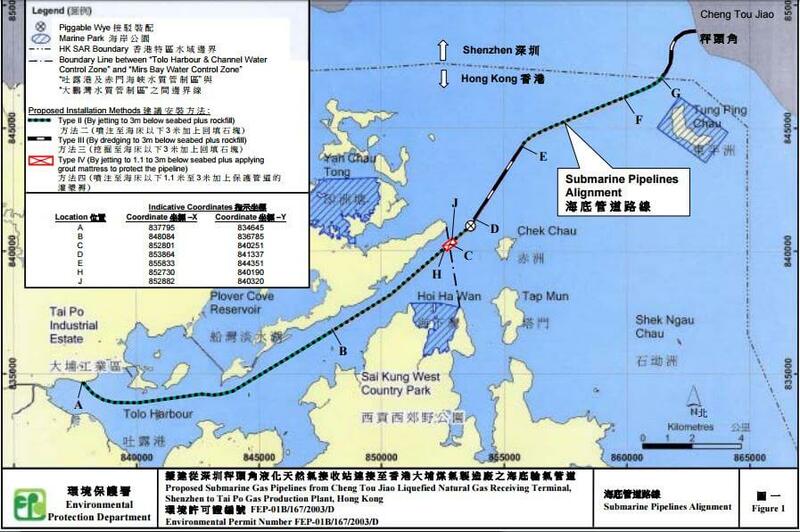 Presumably the tidal flow of water going into and out of Tolo Harbour provided ample nutrients. 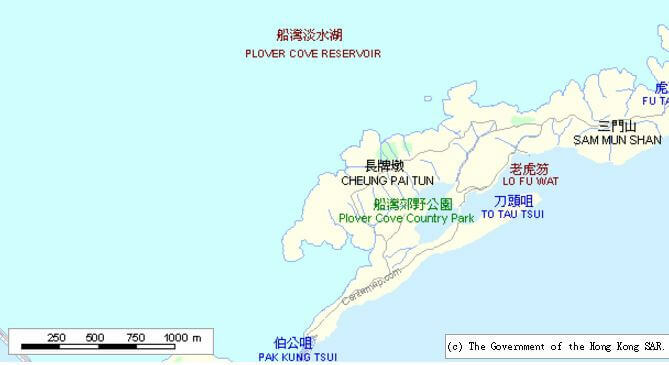 In the 1960’s, construction of Plover Cove Reservoir reduced the quantity of water flowing through the channel. This allowed mud to settle and accumulate over the oyster beds. Knowledge of the oysters’ presence faded from collective memory, as the shells became buried below the muddy seabed. Richard Hale: The natural oyster bed at the mouth of the channel obviously pre-dates the oyster culture reported at the SW end of Lo Fu Wat. 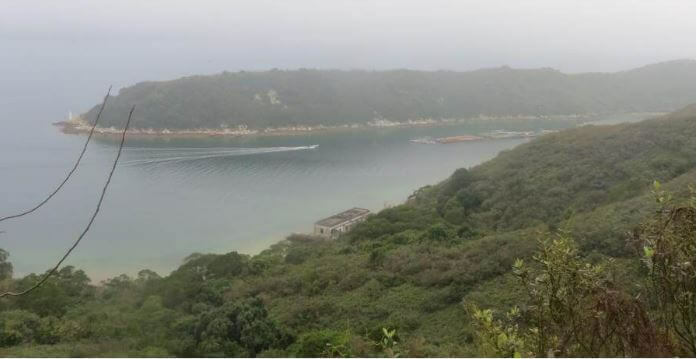 I took these photos looking down on Lo Fu Wat on 12th January 2016 whilst walking around Plover Cove Reservoir. A very misty day when I was only able to see the latter during the last hour of a five hour tramp. This article was first published on 29th March 2015. 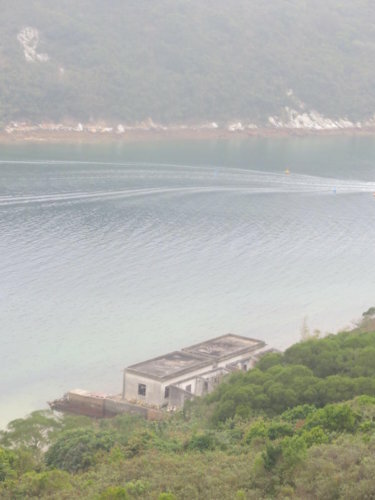 I believe there are still remnants of an old pearl farm in one of the small bays (lo fu way?) along the north shore if the Tolo channel. Yep……….Lo Fu Wat or Fung Wong Wat…….I can’t quite recall…….but the buildings are certainly there.